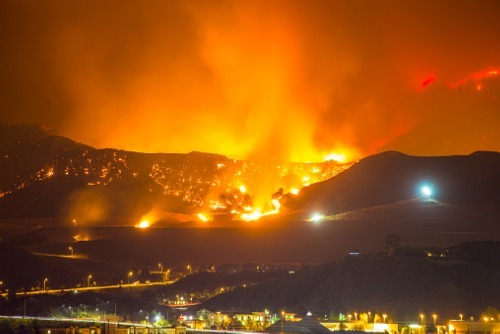 Predictions that wildfires are only going to get more destructive are becoming a reality. The California Department of Forestry and Fire Protection (CAL FIRE) has reported that the still-active Mendocino Complex fire is now the largest in the state’s history after burning through more than 354,000 acres already. By comparison, the second fire on CAL FIRE’s list of top 20 largest wildfires is the Thomas fire, which burned through just over 281,000 acres in total last October. Some neighborhoods in California have yet to bounce back after 2017’s destructive blazes. Santa Rosa’s Fountaingrove community saw all but some 50 of its 1,685 homes wiped out, while the nearby neighborhood of Coffey Park was likewise leveled with more than 1,200 of the 1,651 homes destroyed, according to Kopperud, and the rebuilding of homes has been slow. “Everybody is being impacted, whether you’re in Fountaingrove or in Coffey Park. The one thing that has made it easier for Coffey Park victims is that those homes are being built much quicker and easier because they are not as complex,” Kopperud told Insurance Business, adding that the average size of a home in Fountaingrove is between 3,000 or 4,000 square feet while Coffey’s homes are typically around 1,200 square feet. Despite this, only about 400 homes are currently under construction in Coffey Park and surrounding neighborhoods, while Fountaingrove’s rebuilding has fallen even further behind. There also aren’t a lot of contractors available in the area because of California’s strict licensing requirements and the state’s process for going through building permits. Currently, 40% of homes are being rebuilt by 10 different contractors. Meanwhile, time is running out for people in the Santa Rosa area who are waiting to move back home. “The frightening part is that if we don’t get a large percentage of those homes approved, find contractors, and break ground in the next three, four, or five months, what that means is that they’re going to run out of time for the homeowners who are paying rent, which is covered through their policy,” said Kopperud. For carriers, the Santa Rosa fires have illustrated how important it is to make sure they have the accurate insurance to value (ITV) for properties, especially those in at-risk areas. Homeowners share responsibility to communicate to carriers all the attributes about a home that determine its value, but the insurance industry also needs to make efforts to get ITV right.